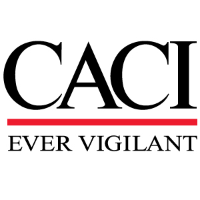 CACI Enterprise IT Operations has an opportunity for a Systems Administrator in Georgia to support a large and complex IT enterprise program. As a Systems Administrator you will be responsible for identifying and resolving IT hardware and software infrastructure (servers, network, security, etc.) issues using systems analysis techniques and procedures in support of our enterprise operations around the world. Analyzes, troubleshoots and resolves issues with IT infrastructure including user systems, servers, storage and network connectivity. Maintain and provide updates to configuration documentation for infrastructure systems. Independent execution of multiple activities simultaneously, ensuring requests are complete, adequately routed, and maintain the required documentation to ensure successful completion of discovery and transition activities. Provide support for implementation, troubleshooting and maintenance of IT systems. Manages IT system infrastructure and any processes related to these systems. Communicate effectively with a wide variety of technical and non-technical audiences, including customers, vendors, team partners, and other staff members. Bachelor’s Degree in Computer Science, IT Systems, or a related discipline and 5 years + of experience related in the IT field or equivalent work/education experience and knowledge of systems administration. Experience with ticketing tools like Jira, Remedy, SM9, and ServiceNow. Industry knowledge and experience, including current industry trends and challenges.